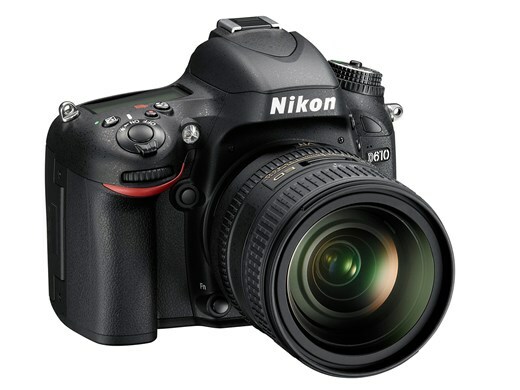 Nikon has announced the D610, about a year after the D600’s own launch. Those who know Nikon will know that they rarely launch successors so quickly, and given the few changes touted, it looks like it is likely to resolve the oil and dust issues resulting from the shutter mechanism on the first camera. Indeed, the new camera’s two features are related to the shutter assembly: The camera now does 6 FPS instead of 5.5 FPS in continuous shooting mode, and has a quiet(er) continuous shooting mode at 3 FPS. The third new addition is improved auto white balance, which really is just a software tweak. It is a little disappointing that Nikon have chosen not to publish the cause of the issues with the D600 and instead “solve” the issue with a new camera instead. The D610 will be available later this month, in October, at US$2000 for the camera only. Hey, it’s the same price the D600 is at even. CK: Think it’s going to cost Nikon a lot more money to acknowledge and fix shutters in affected D600s, so they came up with this game plan. Not much of an upgrade IMO, but if you are planning on getting a D600, then it obviously makes sense to wait for the D610 to be available. A more useful “fix” would be to allow aperture control in Live View and Movie modes though, this is something lacking in all the non-pro Nikon DSLRs like the D600/610/7000/7100 and below, and is something even the most basic of Canon DSLRs provide. David: No doubt this is similar to the case of the SB900 flash overheating problems, which was “resolved” by the release of the almost similar SB910 flash with barely a change except to solve the issue of the flash shutting down too fast due to overheating. This is a cop-out on a bigger scale no doubt – instead of acknowledging the problem and doing a recall of affected cameras, Nikon seemed to have chosen to betray the trust of its customers with the release of a new model with a fixe shutter assembly – indeed many people who had dust issues and oil spill problems on their sensor had their D600’s entire shutter assembly swapped out for new ones. Somewhere along the line in the factories in Thailand, someone messed up causing new D600 to have dust and oil spill problems on their sensors. Indeed I’ve read snide remarks today to the effect of “can Nikon change my D600 nameplate to D610 if I send in my D600 in” and more amusingly “I will wait 6 months to see if there are dust and oil problems with the D610 before I buy” – trust has been breached and there are people who have swapped systems entirely based on their D600 experience – not quite the intended effect Nikon wanted. Coming on the heels of the well known AF problems with the D800 (read: left side focus point issue), this ensures a sour taste on the lips of Nikon users. Lastly, this release will surely cause D600 used prices to tank big time, since buyers will be wary if the second hand units they are buying have had the shutter assembly replaced. Then again, this just might be a good time to pick up a used D600 on the cheap! Having said all that however, I’ve used rented D600s regularly and never encountered an issue – probably because I’ve always used them with fast lenses in low light….